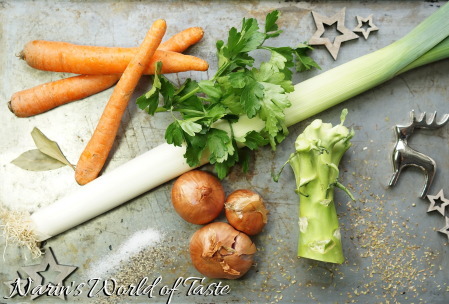 The following recipe is a quick and easy way to prepare homemade broth without worrying about processed sugar or other potentially unhealthy additives. I cook vegetable broth about once a week, saving various cut-offs for a couple of days until I have enough to cook a delicious broth. 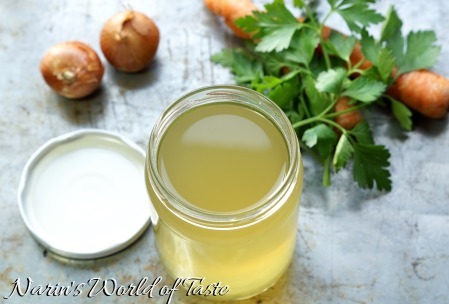 The broth can be easily stored for about a week in the fridge, or you can also freeze it. 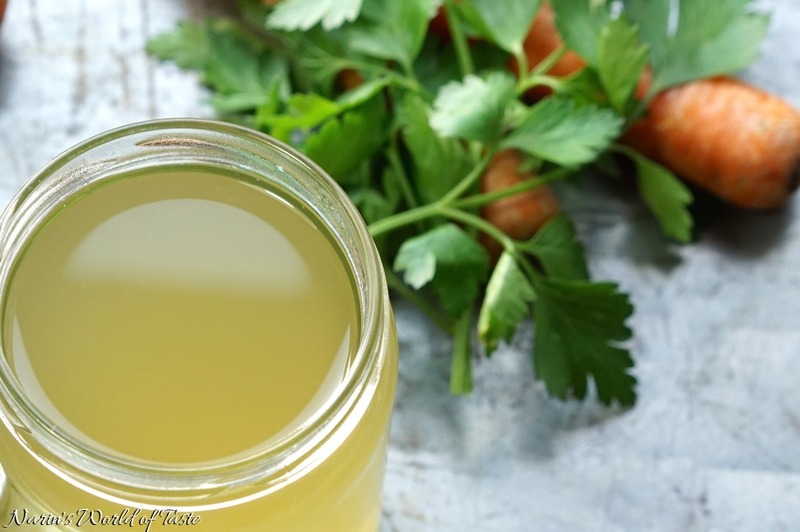 I use homemade vegetable broth in many of my recipes and it’s unique every due to slightly different ingredients. 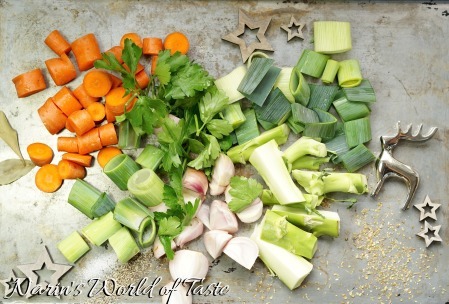 You can use almost any kind of cut-offs from vegetables that you have at home e.g. stem of broccoli, edges of zucchini, carrot, or leek… Just make sure you throw sandy or dirty parts away if you can’t wash them off. Combine it with dried and fresh herbs (e.g. 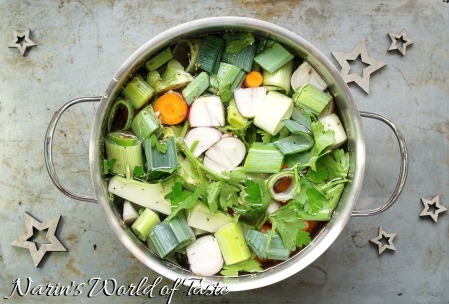 parsley, oregano, basil, thyme, rosemary, etc…) and some shallots, onions, garlic, chilli, ginger, or whatever comes to your mind, to create a delicious broth that you don’t have to buy and where you know what’s in it. Wash the vegetables, cut-offs, and fresh herbs. Slice them roughly into pieces of medium size. In a medium-sized pot add all ingredients and cover with water. Bring to a boil, then simmer covered with a lid for about one hour. Pass the broth through a fine sieve and pour it into glass jars, Tupperware, or whatever you prefer. You can store the broth in the fridge for about one week.